In Jewish tradition synagogue is not only a prayer but the place for community‘s gatherings, or Torah studying, the epicenter of their everyday life. It was a space for communication, exchange of news, regret about misfortunes, sharing bid and small successes. 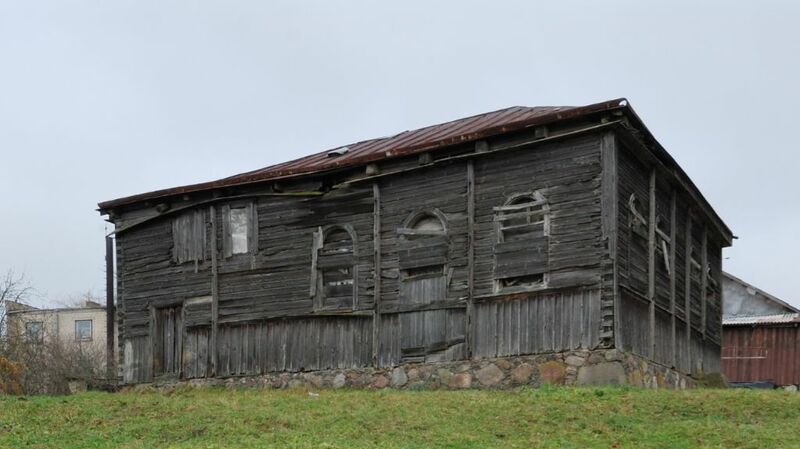 Usually wooden synagogues were built up and decorated by not very wealthy communities; if the financial circumstances lead to favorable, they hasted building a masonry one, which would be resistant to the impact of nature and time. The 17 survived wooden synagogues in Lithuania are unique heritage of Lithuanian and Easter European Jewish culture. It expresses the exclusive, elsewhere untypical and not developed tradition of wooden synagogue architecture and their decoration that reflects syncretic local wood carving tradition together with decorations inspired by Judaism. 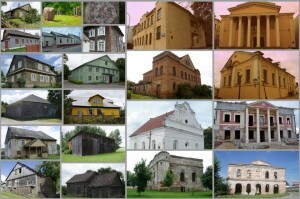 The remaining several wooden synagogues, that withstood devastating storms of history and human behavior are fragments of abandoned and diminishing formerly impressively decorated and moderate synagogue buildings. For today‘s Lithuanians they are familiar from interwar photos. It makes us think how strong is the power of history, destroying past, culture and personal lives of people and how important it is to cherish the still-alive memory and to maintain sensitivity to things we are about to lose. Not to close the eyes but to preserve the part of our culture and memory – this is what the exhibition encourages us to do — as if singing kadish (hebr. Stating of God‘s sanctity) – commemoration prayer — to the wooden synagogues of Lithuania. Узнайте больше о другой работе, проводимой здесь.